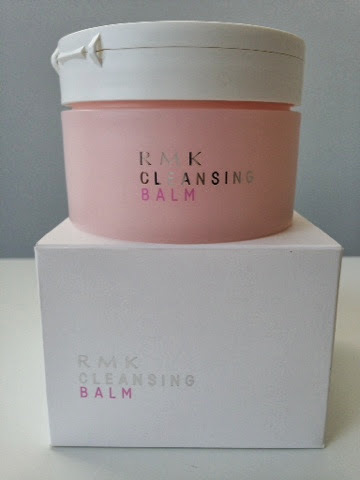 A few weeks ago I popped out for coffee with one of my fav beauty PR girls, where she introduced me to RMK and there hero Cleansing Balm* (£29). 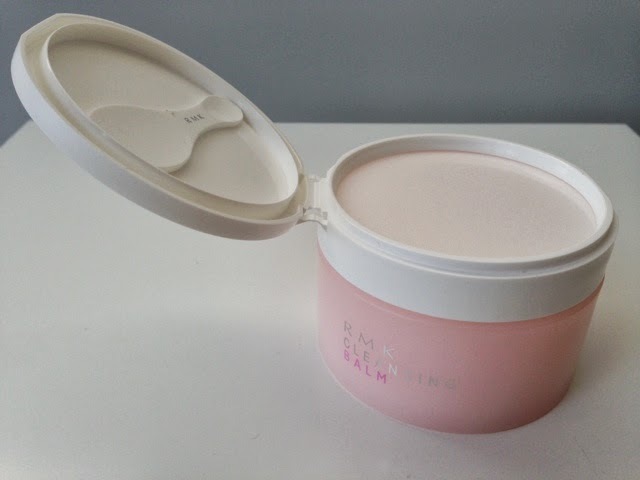 The pretty pink balm starts to melt in your fingers as you apply, sinking into your skin, feeling luxurious. The cleansing capabilities are impressive; removing mascara really well (although I haven't tried it on waterproof mascara - not a fan). 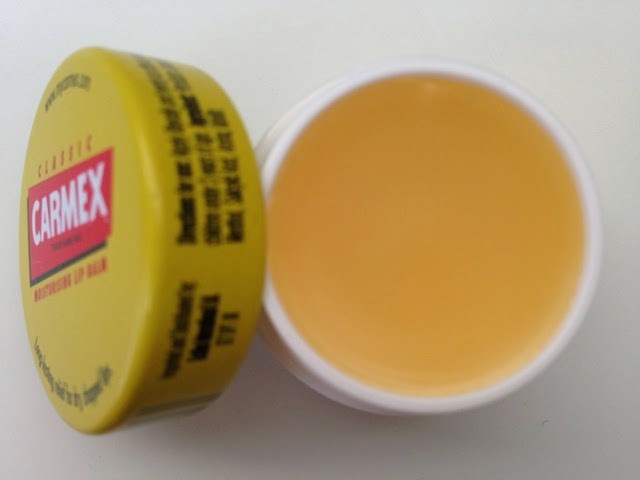 However, it is really gentle, I got loads in my eye the first time I used it and there wasn't any stinging. I'm not sure it removes every last bit of foundation, as when I've used a toner after it has picked up extra traces. 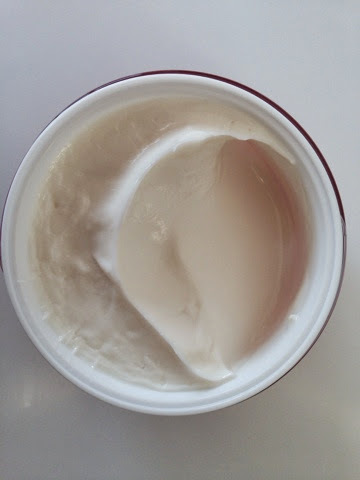 The balm does leave my skin feeling really soft, containing various oils, including Damascus rose, grapeseea, jojoba and avocado which have anti-inflammation and antioxidant qualities along with moisturisation. 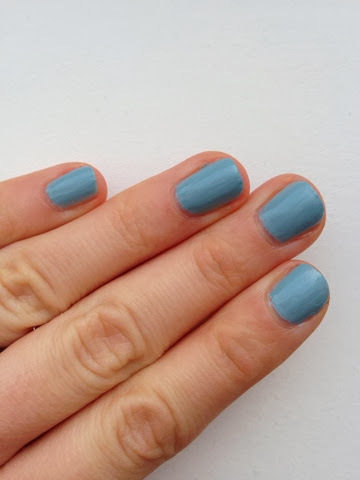 The little spoon is really cute and does help you too get the correct amount of product, rather than using your if fingers and wasting too much each time. 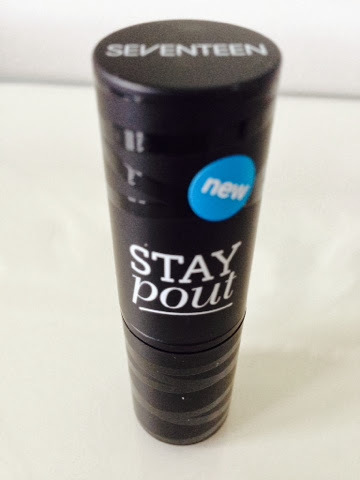 It is available from a range of different suppliers, such as Look Fantastic and Selfridges, so keep an eye out, this one is worth a try if you have dry skin that is also prone to irritation or breakouts. 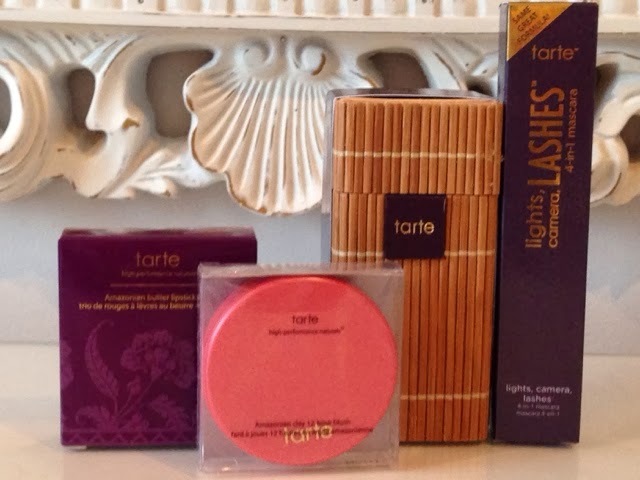 After the Tarte UK launch event for QVC last week I couldn't contain myself and had to give you a little news post. Now I've had time to try the samples I was given at the event and want to give you the full low down as I have found some real goodies. I was so excited to receive another sample of Lights Camera Lashes Mascara* (£14.40), as I have been contemplating buying one from the US after falling in love with the product towards the end of last year. 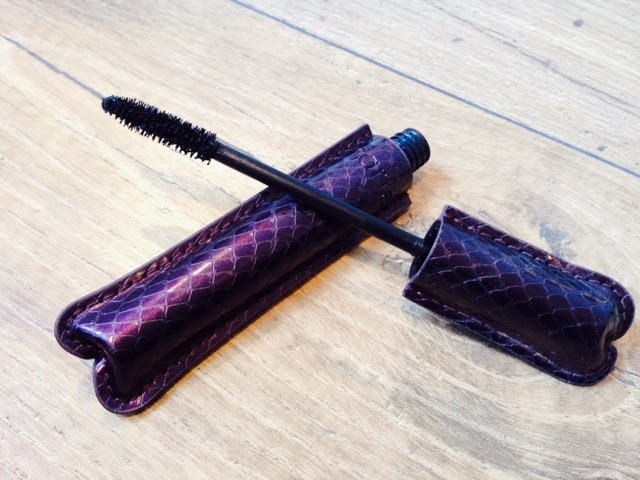 You can see my previous review here, but - it is such a fab mascara, thickening and lengthening in super-cute packaging which washes off SO easily. 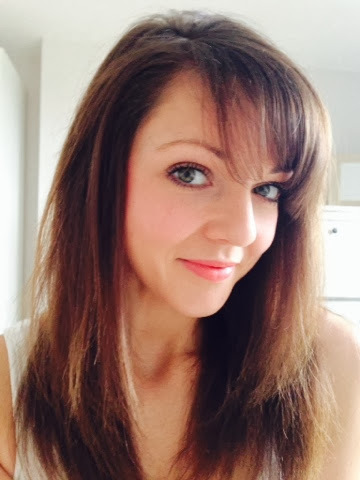 I could happily never have another mascara...I've even converted fellow blogger Gemma from This London Life to be a fellow obsessive. My next fav product is Amazonian Clay 12-hour Blush* (£26.50) in fearless. 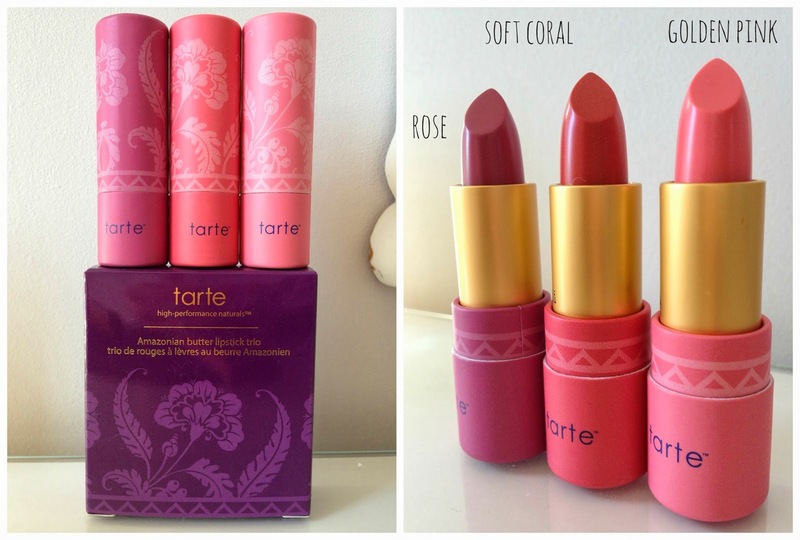 At the launch, on of the Tarte makeup artists popped it onto my cheeks and informed me that it was highly pigmented, so, when I tried it for myself, I double checked I'd removed the excess from my brush. However, I didn't end up looking clown-like at all, so it isn't a blush to be scared of and you can layer it up to get the intensity you are after. I think what she meant is the pigment doesn't fade, as I was rocking the blush until bedtime, which I don't find happens with most. 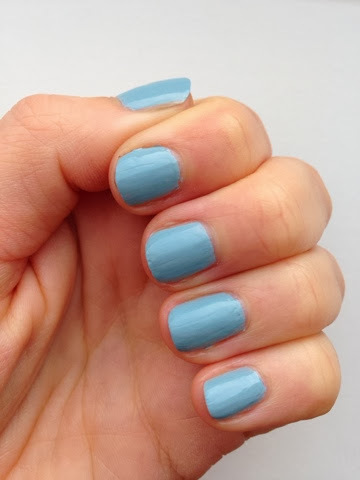 The fearless shade is also super flattering and I think it would perk up pale skin tones and look cute with a tan too. 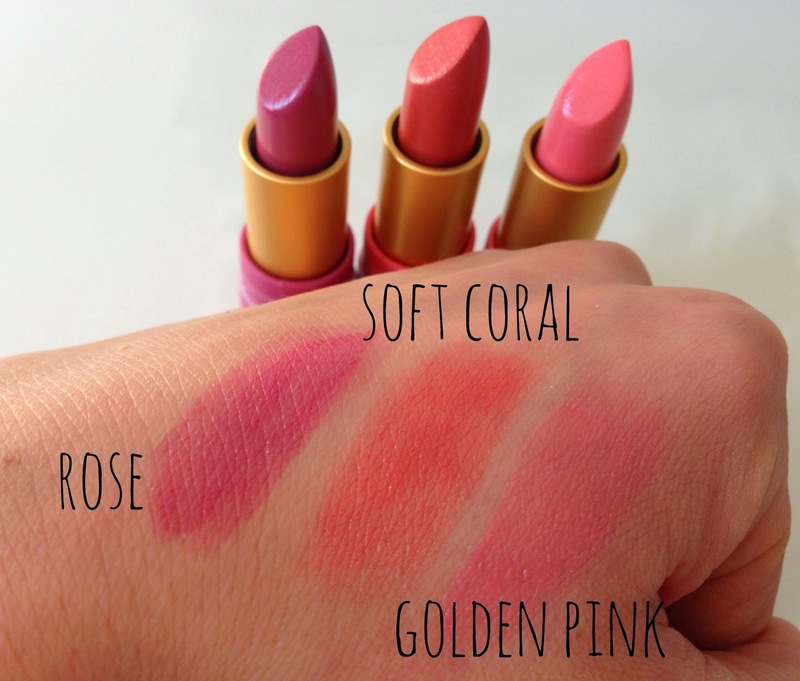 I am also loving the Amazonian Butter Lipstick Trio* (£20) which have butter in their name for a reason, as they are super moistening. They also contain mint which gives a slight tingle to the lips and gives a fresh aroma. Normally I find my favorite shade in a set and the others get left behind, but I still can't decide which I like the most, so am currently alternating between all three..
Maracuja Oil* (£29.16) is the final item I've tried out, which promises to deliver 'harmony and moisture for firmer, brighter, smoother-looking skin' I have only used it twice, as an evening moisturiser, as I'm not a fan of facial oils during the day, and this one is on the heavier side. However, the packaging is cute, with the bottle being presented in a bamboo box, which looks very cute in my bathroom. 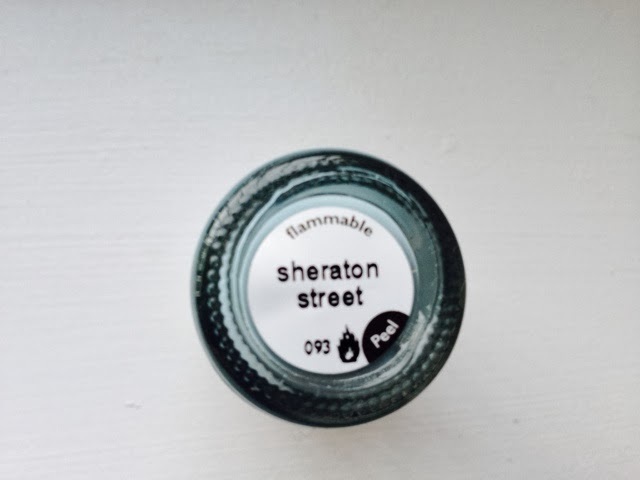 The button on the lid of the bottle is a neat way of dispensing the oil. 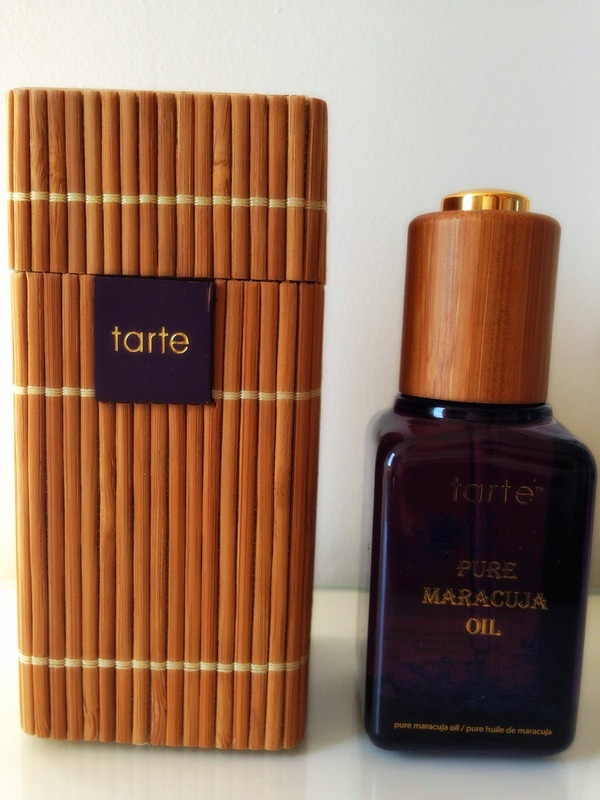 So if you are a fan of oils for your complexion, it might be nice to try this one out. 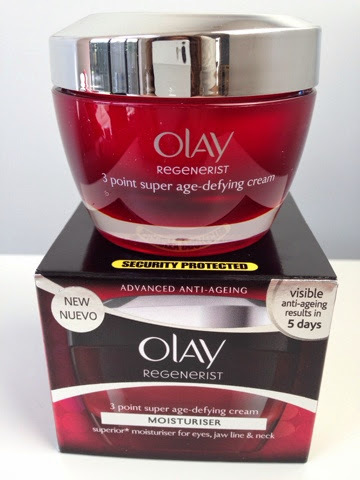 I've been an Olay Regenerist fan for ages, it seems to work with my skin, making it clearer, happy and the anti aging ingredients make me feel that I'm stopping the clock. 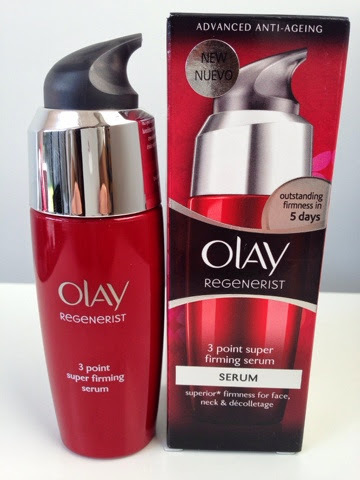 Last week I popped into town to hear from the Olay scientists about there new formaula for this skincare favourite. My inner (and outer) geek was loving all of the science behind the updates, which were all linked to boosting energy in our skin cells, to reduce skin fatigue and improve the response to the anti aging ingredients. The new formula includes an increased dose of proven ingredients Niacinamide and Pal-KTTKS. It also sees the addition of OliveM (from olive oil) to help the penetration of the other anti ageing ingredients, and Lys'Lastine V in the 3 Point Super Firming Serum* (£19.99) and 3 Point Super Age-Defying Cream* (£19.99) which I've been trying out. 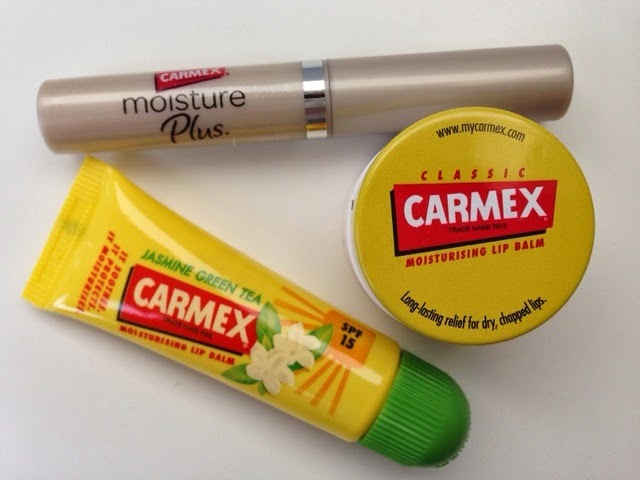 The products will be available exclusively at Boots from the 1st April. 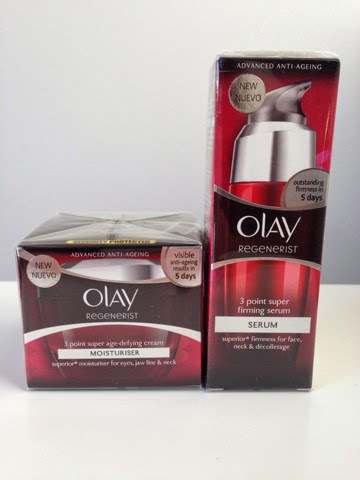 I really do like both of these products, the serum is so smoothing and the moisturiser seeps into the skin easily. 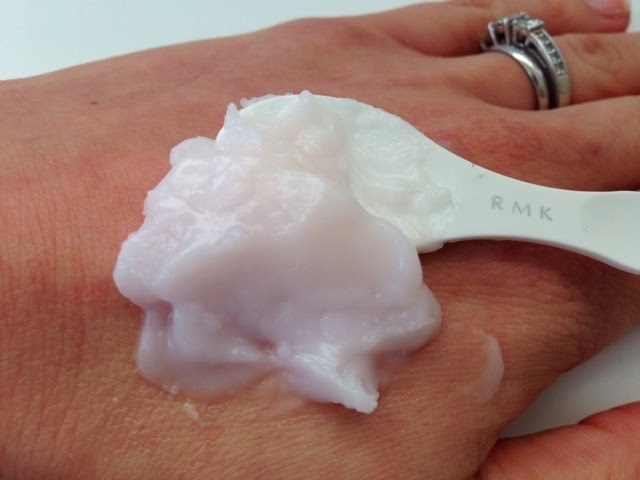 Studies have shown that using for 10 weeks can revers 10 years of wrinkle appearence - luckily I don't have that many wrinkles, and have only been using the products for a fortnight, but I have noticed an improvement in my complection, it is feeling brighter and the texture is improved. The packaging of the Point Super Age-Defying Cream is nice and weighty, feeling like a premier product, however, the serum bottle does feel a little light and more cheaply packaging which is a shame. I would also like the fragrance to smell a little more lucpxorious, but the Regenerist brand is more science focused rather than concentrating on the fluffier side of skincare. 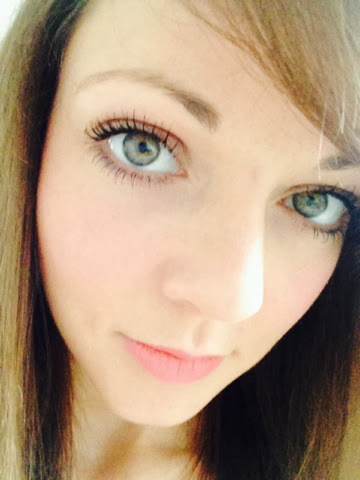 Back in my late teens and early twenties, my daily makeup regim consisted of a quick flick mascara and lipbalm. 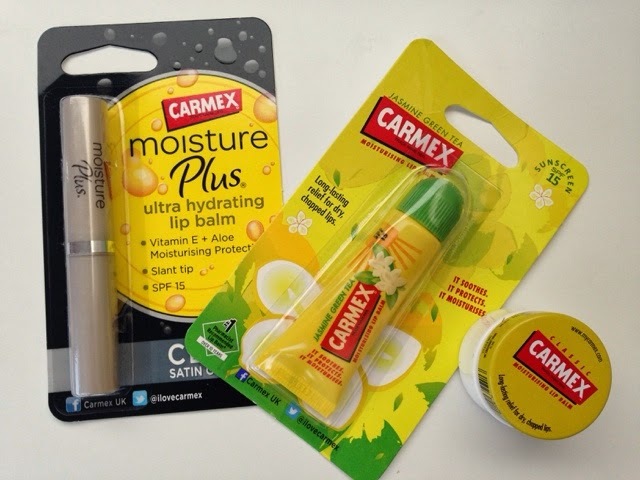 Whilst I have become more high maintainance, Carmex has remained one of my fav lipbalms. The tinglely sensation on the lips makes you feel like the your lips are recovering and and moisturising. 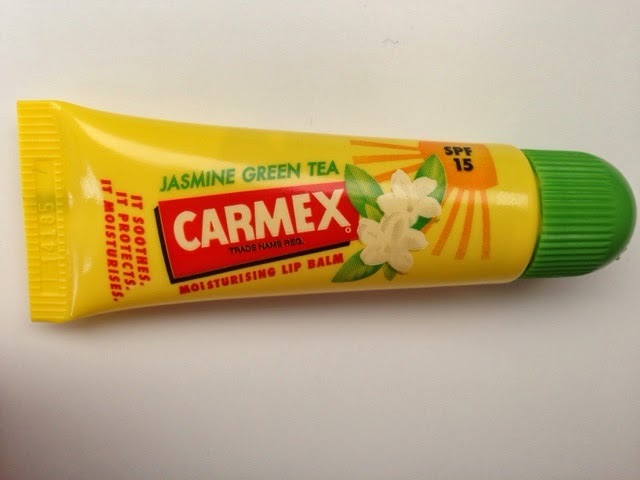 The brand has moved on from the classic pot* (£2.69) to include some fun variations, including the elegant Moisture Plus* (£4.29), which looks more stylish than the retro tin and this fun Jasmine Green Tea tube* (£2.69) - both giving a less messy application! Blush is one of my favourite make up pieces. 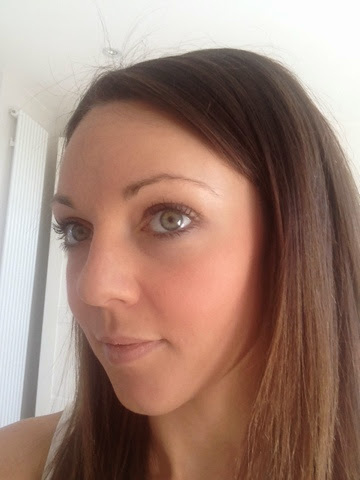 After mascara it is my daily essential, lifting my lifeless grey morning complexion so I'm ready to face the day. 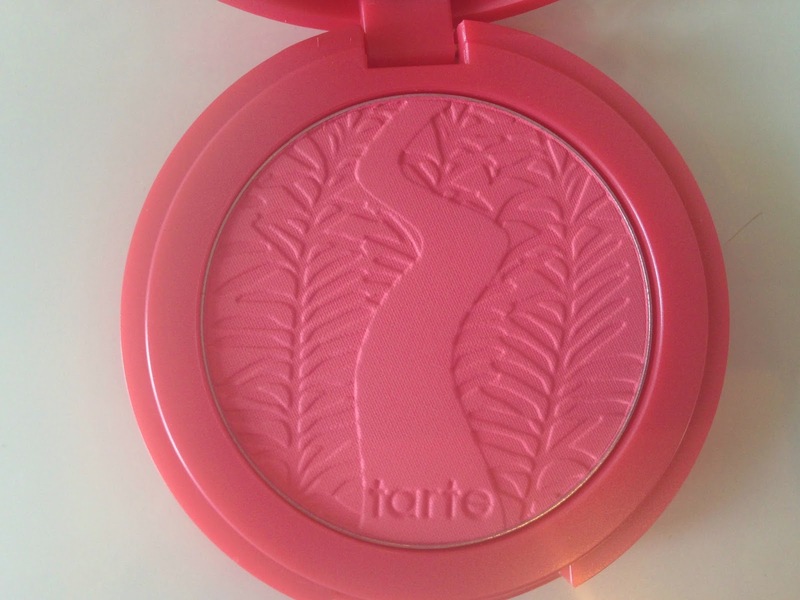 I totally love cream blush as it maintains the youthful dewy look that powders cover up. 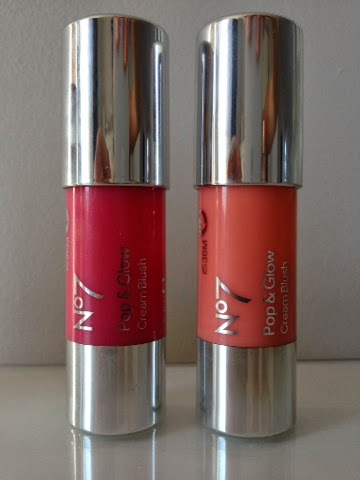 Pop & Glow* (£9.95) from No 7 is my current favourite cream blush, it is really light and smooths onto the cheeks easily, rather than being sticky. 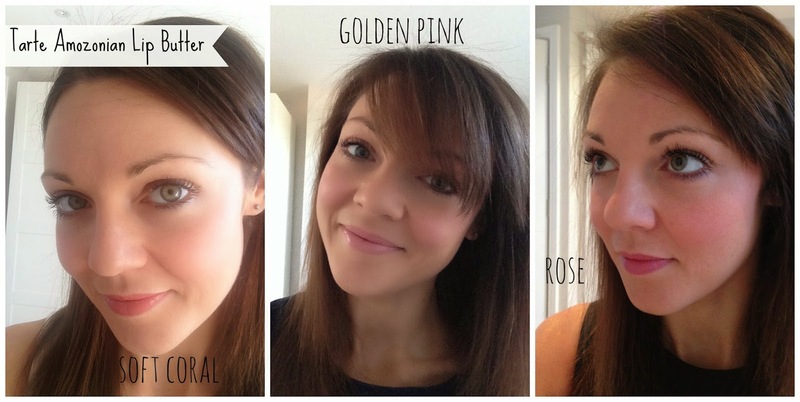 The consistency also means that you can blend it into your cheeks without getting streaks or blotches. The cute chunky crayon packaging is really cute and reminds me of Clinique's Chubby Sticks, which I also fell in love with. 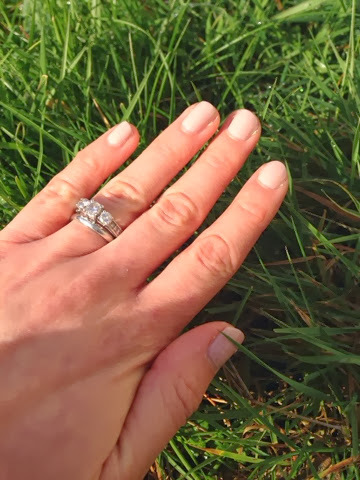 The colours do look quite intense on the swatches on my hand, but that is with a thick layer, it looks a lot less scary on your cheeks, or you can build up the colour depending on how rosy you want to go. 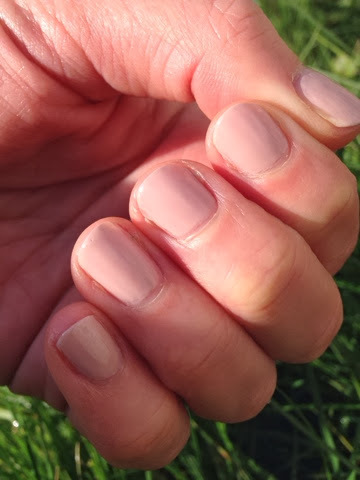 I'm loving the peachy 'Mango Sorbet' in the sunshine, which is the left of the swatches, which I am wearing in the bottom photo, but you can't see the blush very well in my snap annoyingly. 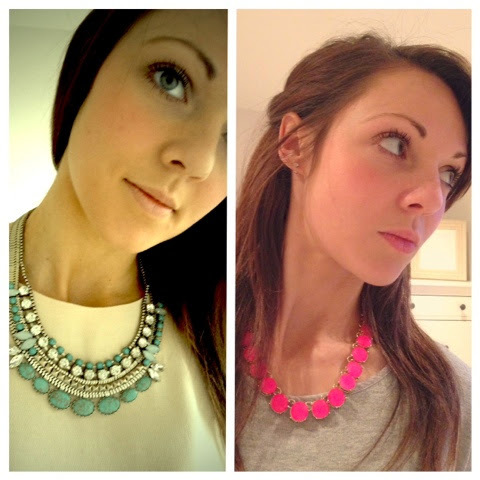 'Classic Rose' is the brighter pink, which gives a soft pink if you don't layer it up. Driving to work in the light and and seeing the blossom on the trees has got me feel of the joys of spring. 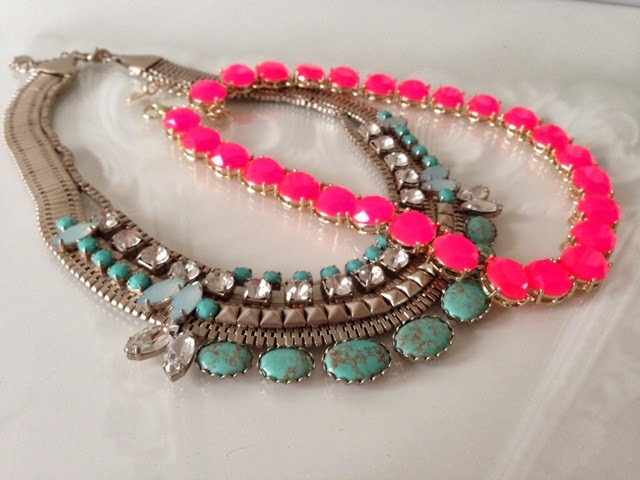 This has got me tossing aside the grey, navy and burgundy tones that have been frequenting my wardrobe, for the desire of fresh, bright shades. 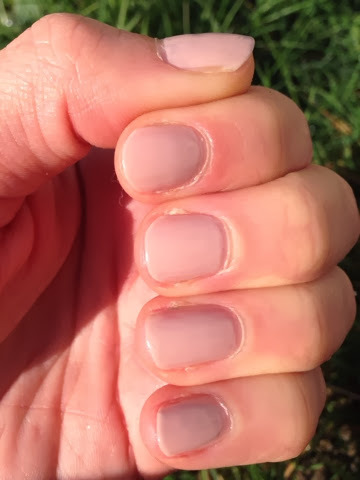 All the gorgeous spring pastels have got my going weak at the knees, but there is one colour I am craving for more than any other. Yellow. 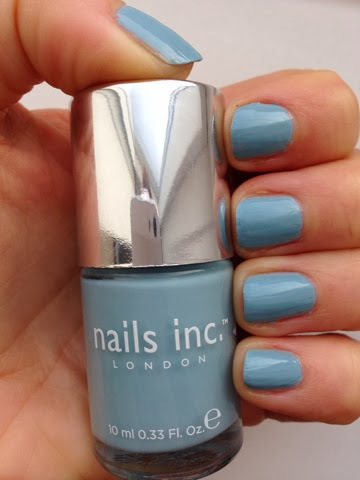 It is the perfect antidote to winter and puts a bounce in your step, like no other shade. From lemon to canary, there is a hue to suit everyone, and I've chosen my top sunshine picks for you to peruse. 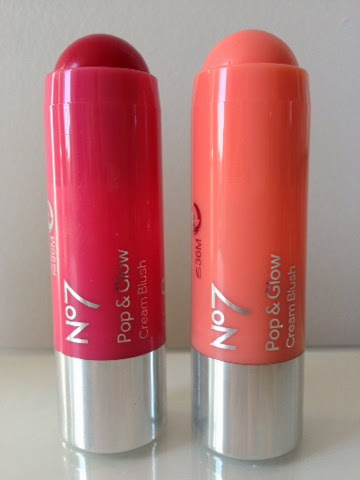 I am still feeling the joys of Spring, and have been inspired to revamp my lip colour ready for the new season. 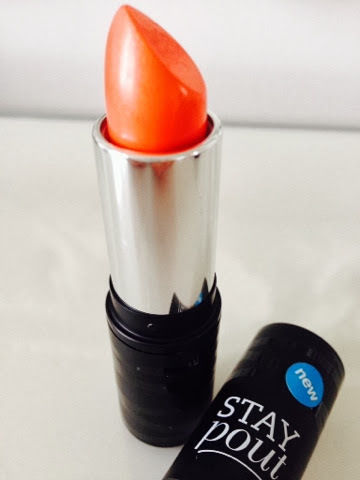 Man Hunt* (£4.49 from Boots) peachy-coral shade by Seventeen is really gorgeous, it does look a bit scary in stick form, but once on the lips, seems to calm down a little. Although I do love it now, I think it would be amazing with sun kissed skin later on in the season. 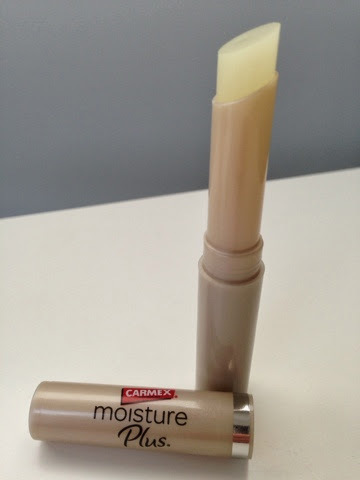 Containing Shea butter, the lip stick moisturisers whilst adding the lip stain the lips, which lasts for a good few hours. 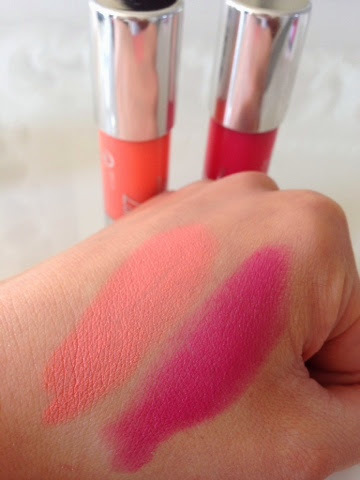 The colour applies evenly and doesn't bleed into the skin, even without the use of lip liner. 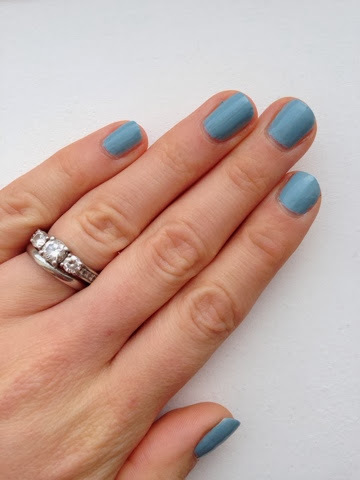 I am so taken with this shade and can see it as a firm fav for SS14. 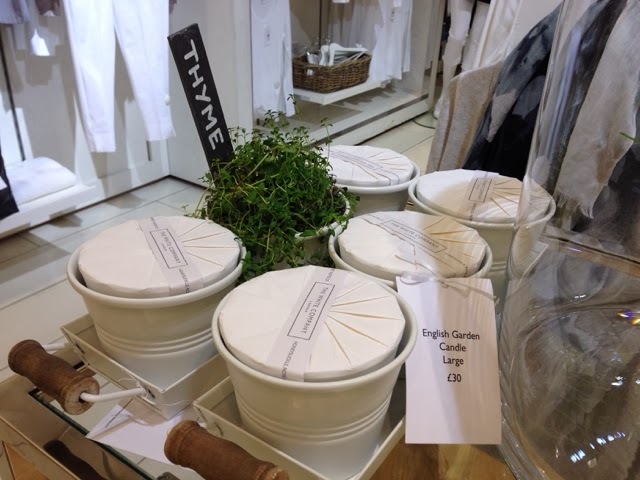 I adore The White Company, the home wear, the clothing and most importantly the amazing fragrances. When you walk into one of there stores, whichever fragrance they are currently releasing smells luxorious and I always lust after their beautiful candels which are so simply designed they fit into modern and traditional room styles. 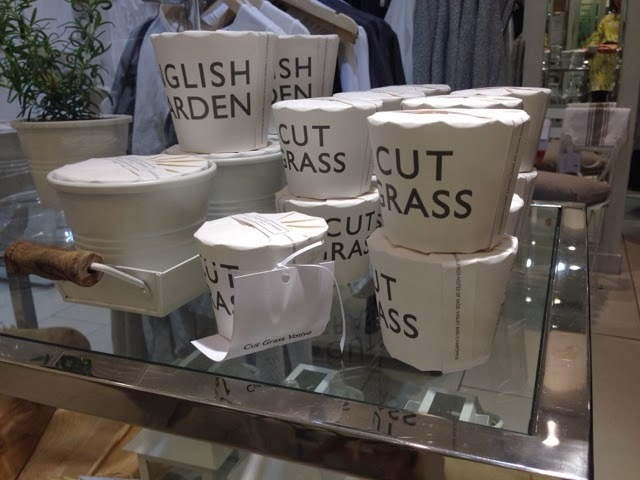 As The White Company have recently launched their SS14 fragrances, I was invited up to one of there London stores last week to be guided through the story behind each of the new fragrances. 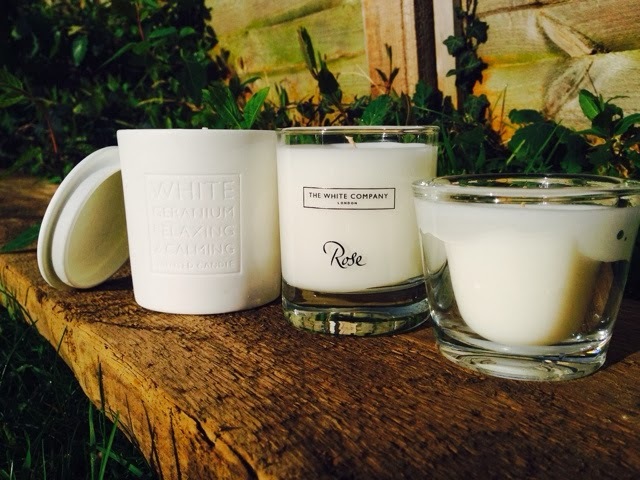 There are two new scents being introduced to The Signature Collection, Rose and White Geranium. 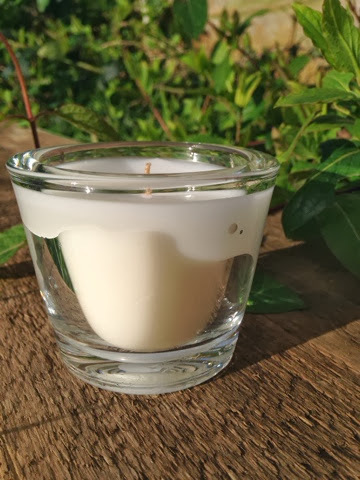 Rose* does invoke thoughts of fragrances ladies two generations above me might opt for, however, being blended with Jasmine, lilies, dried fruit and sandalwood makes the scent much more contemporary and stylish. 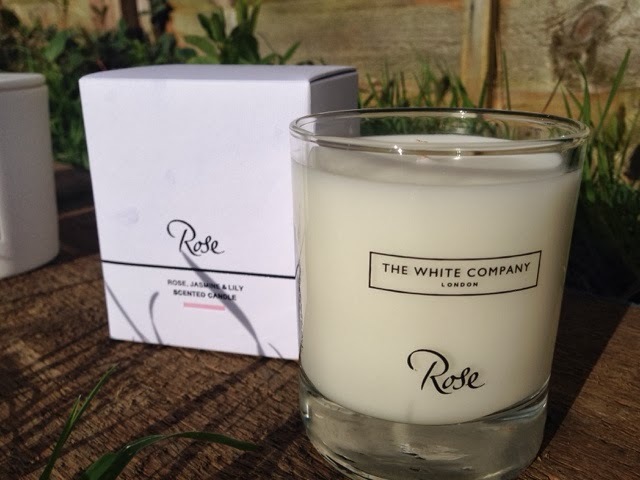 As well as this fragrance being available in the traditional White Company packaging (£20), it is also available in a limited edition mirrored glass finish (£22). The serene spa scent of White Geranium* is the other addition to The Signiture Collection. The blend of the geranium with eucalyptus with soft rose and thyme combines to produce a tranquil and soothing combination which I absolutely love, perfect for burning during a luxorious bubble bath. 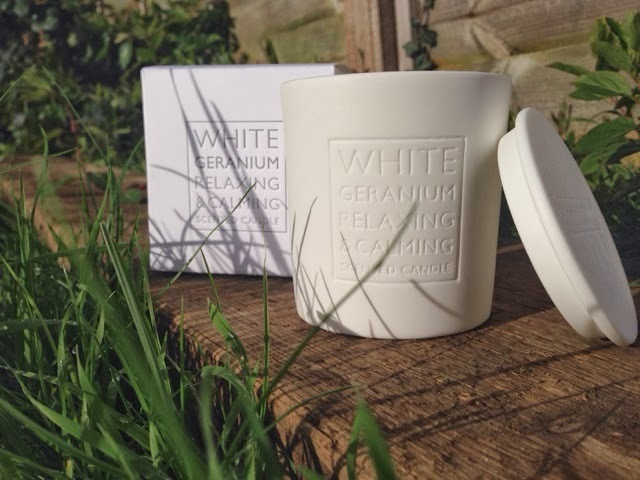 In addition to the candel* (£26/140g) which is packaged in a beautiful ceramic casing with matching lid, there is also a full bath and body collection in White Geranium. The final new addition to SS14 is the English Garden Collection, a limited edition trio of scented candels which have been inspired by a summers day. 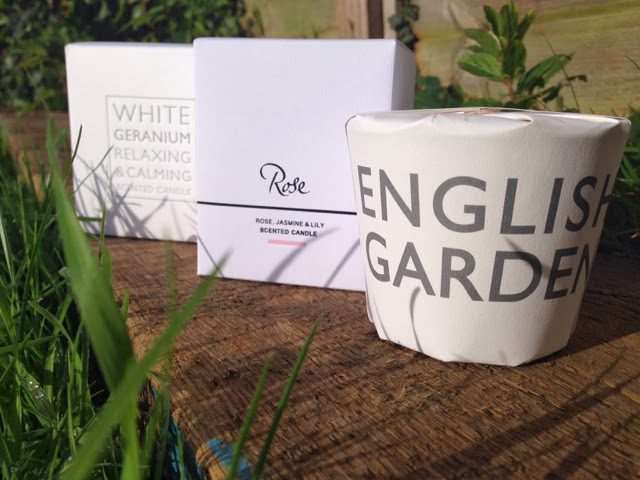 Each of the three fragrances: Fresh Herbs, Cut Grass and English Garden* are packaged in chunky glass and wrapped in textured paper, rather than the card boxes of The Signiture Collection. Athough at a lower price than the candels in the Signiture Collection (£30/230g and £19/90g) I do prefer the style of the original packaging, but the fragrances are really fresh and opitomise the new season.